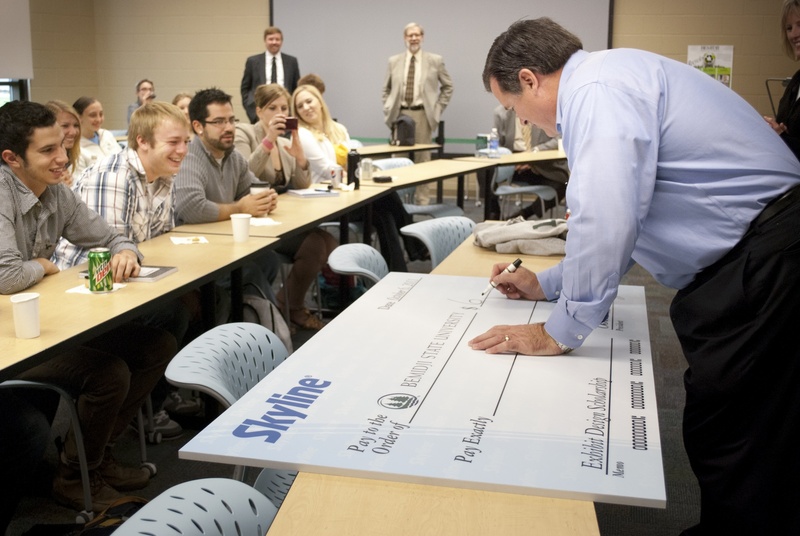 Bill Dierberger, President of Skyline Exhibits, writes a ceremonial check for an annual student scholarship Skyline grants to a BSU Exhibit Design student. 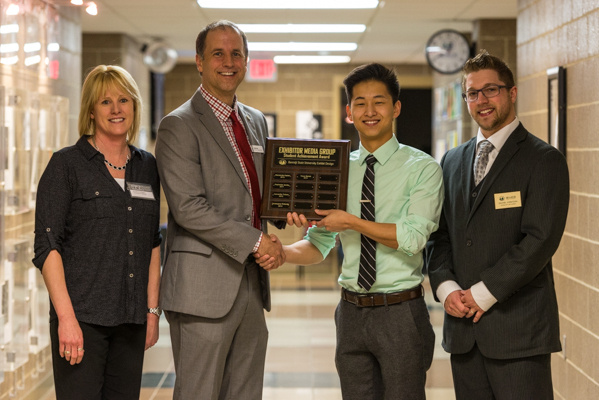 Trevor Beniak accepts the Exhibitor Media Group Student Achievement Award from Randy Acker, Exhibitor Media Group President and COO. 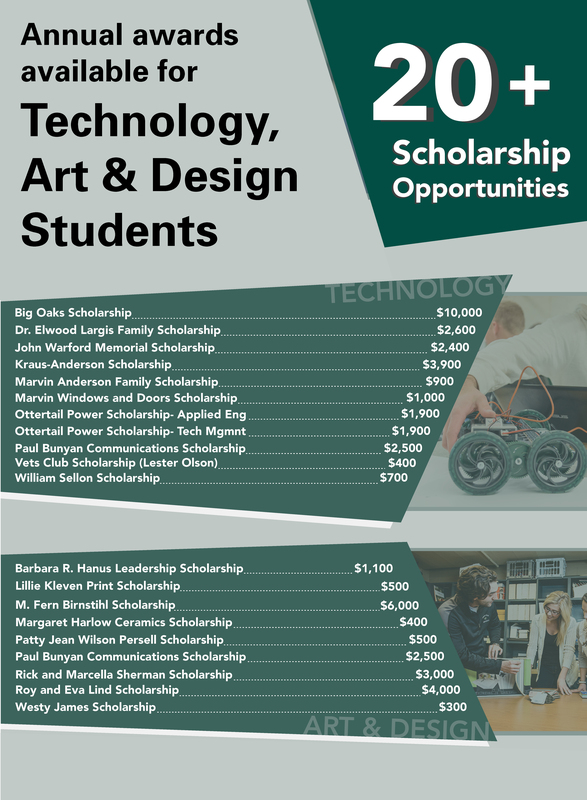 Applications for scholarships will be available in the mid-February in the Technology, Art & Design Department main office in Bridgeman Hall. Deadline for submission of scholarship applications will be in mid-March.